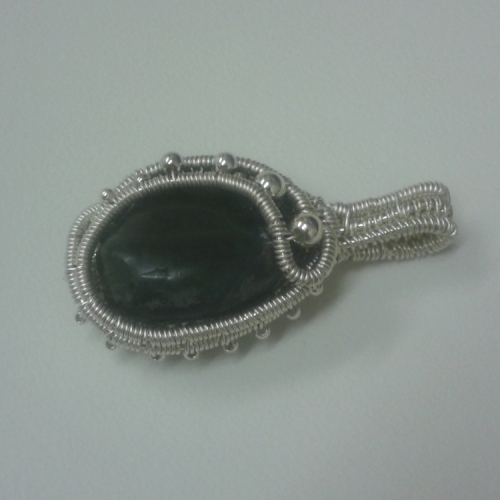 Stunning wire wrapped pendant featuring a tumbled green fluorite bead intricately wrapped in wire with silver beads. 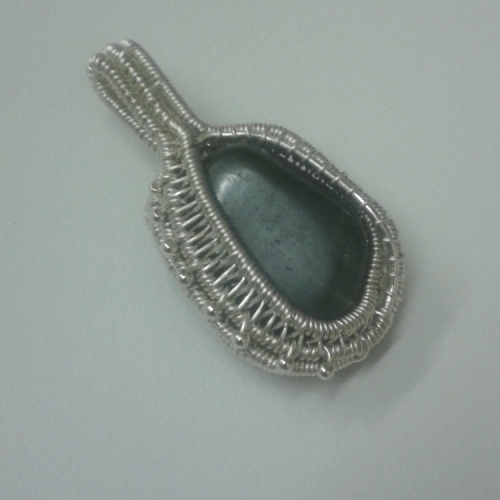 The pendant can be worn with either side forwad, with one face having larger bead accents. 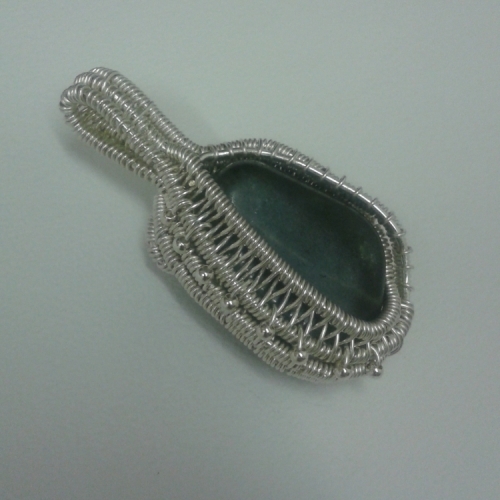 The pendant measures app 4.5cm x 2cm. 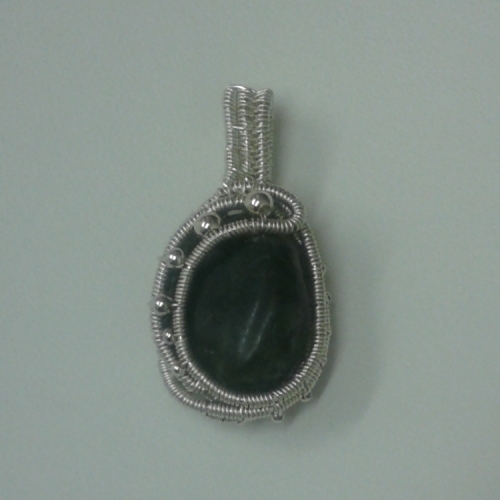 Fluorite is said to be an excellent all round healer. Mentally it is said to help promote organisation and concentration. It can also be used to help heal numerous physical ailments including stomach problems, ulcers, skin ailments, insomnia and anxiety. Fluorite is used to absorb negative energy and protects from outside influences.